The hut is fully self contained with cooking facilities and full provisions are provided for a great breakfast. Wonderful! It was like stepping back to a simpler more peaceful time! Perfect place for a relaxing and unique getaway for the family and our 2 dogs. 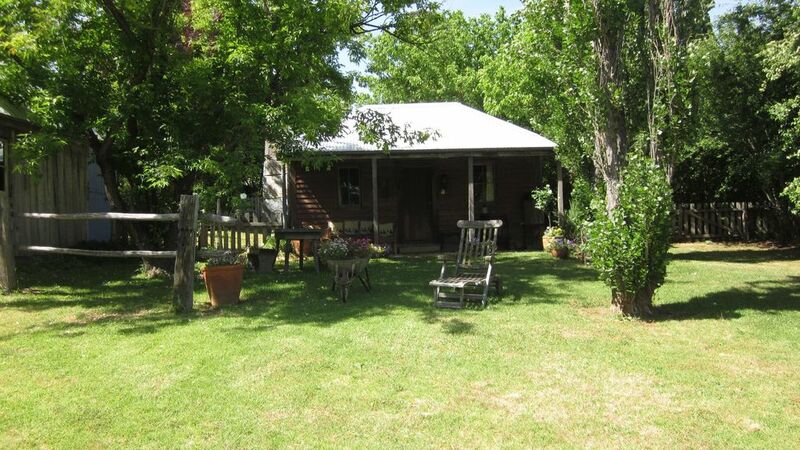 The place is beautifully maintained, yet rustic and full of character. Have stayed here twice and plan to be back again in the future! We had such a lovely time staying at this very special place. So relaxing, not only felt like a step back in time but a step away from time. With every attention to detail possible for a comfortable stay. My dog had so much fun running around the garden too. We can’t wait to come back! Many thanks to the Hinchey’s for all the lovely touches and way more than generous breakfast provisions and creature comforts. Could not rate more highly! Everything as described in lovely setting. Very comfortable and cosy. Great bed with quality bedding. Generous provisions. Couldn’t fault anything. I fell in love with the Settlers Hut when we pulled up in the driveway. A piece of a bygone era , so romantic quiet and cozy ! Its was freezing outside but perfect blue sky winter days for the 2 days we were there, inside we were as warm as toast with the open fire and gas heater. We enjoyed a great meal at the oldest continuously operated hotel just around the corner and I enjoyed cooking a meal on the old gas early cooker. Everything was just so cute ! My little puppy Harley had a great time running around in the backyard which was completely fenced and was amused by the beautiful birds and cockatoos that we were able to feed morning and afternoon. The village was very cute and the bakery had great pies ! I loved our stay at the Settlers but and will definately gp back in the autumn to enjoy the colors of the trees and landscape and relax again. Thankyou to Paul for all the supplies left for us, there was everything we needed and more , very generous thankyou !